This converted hay loft is large, light and airy and is divided by a curtain. 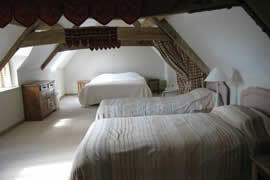 It sleeps 4 as a family room with en suite facilities. Downstairs is a small kitchen and breakfast area. 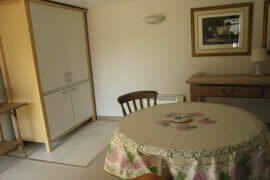 It is adjacent to the cottage and can be rented in conjunction with the cottage and the pool house. 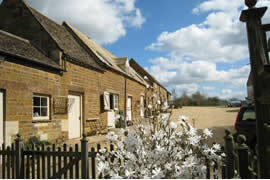 The market towns of Uppingham, Oakham and Stamford with art galleries and antique shops makes the cottage an ideal base. Proximity to Rutland Water gives the opportunity to make use of the fishing, sailing, cycling and walking facilities. There are grand country houses and a castle to visit (click here for details). Click here for our enquiry form. Please book as soon as possible to avoid disappointment.